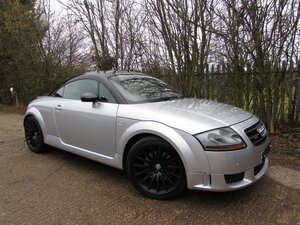 We are pleased to offer for sale, what is fast becoming a modern classic. 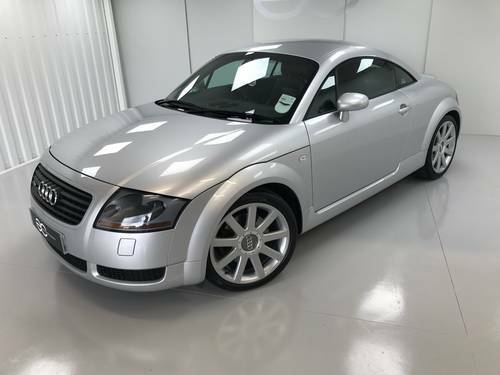 This is a MK1 Audi TT 225 model, with just one owner from new, and low mileage. With prices rising for good examples, this is the perfect low cost investment opportunity, which you can use/enjoy with reliability to boot. 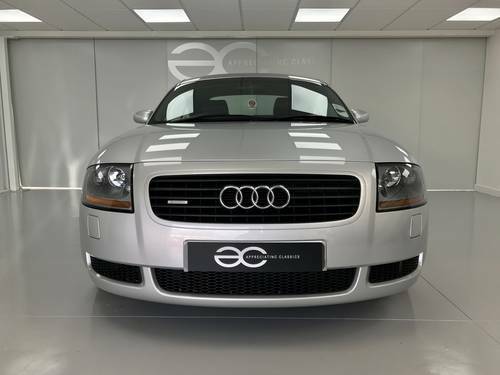 With one owner from new, the car has been cherished and the history file clearly demonstrates this. These service stamps are accompanied by the relating invoices/receipts as you would expect. 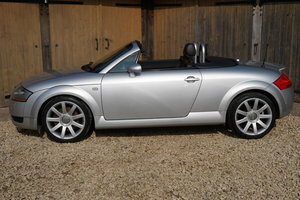 Also within the history file are 10 MOT certificates, along with various Sorn Declarations, and old tax discs. 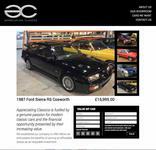 A very comprehensive history file, which compliments the car perfectly. 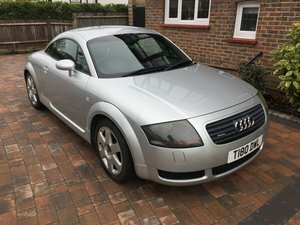 This Audi TT presents very well, having been a garaged car by the only owner from new. The headlights are without the usual glazing effect, still looking nice and crisp. All glass is original and in good condition. All panels fit well, and the paint finish is good with no signs of any corrosion, and still offering a strong shine. 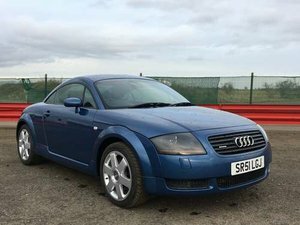 A few small marks, in keeping with the mileage, are present but do not detract from the overall very good condition of the car, and these are very minor. All wheels have recently been professionally refurbished, with new genuine centre caps fitted also. Unfortunately one of the wheels does have a very small mark (picture can be sent on request) but other than this small mark on one wheel, they are unmarked. 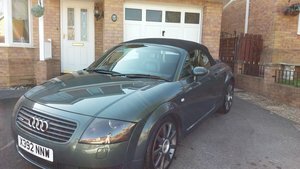 As per the exterior, the interior is in very good condition throughout. The leather seats are in very good order, with only minor wear to the drivers bolster being present. 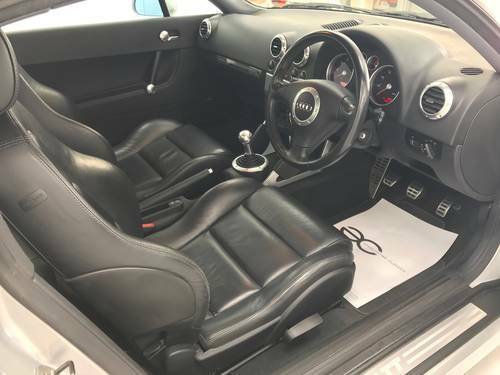 Original Audi floor mats are still in place and are in very good condition. 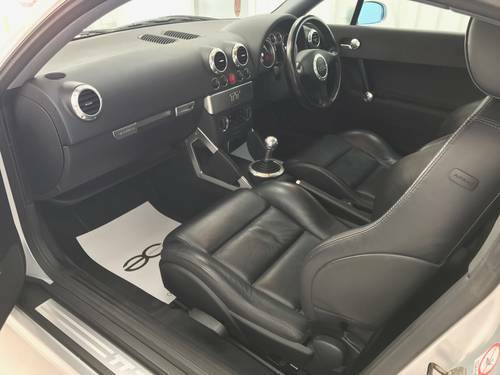 The aluminium gearknob has some light surface marks as you would expect, but other than this the rest of the interior certainly presents as a nice low mileage, well cared for example. Original stereo is still in place and works just as it should do. All switches (including heated seats) work exactly as they should, with only the multi function display having a few pixels missing (this is extremely common). A very nice place to be, and certainly an iconic looking interior. 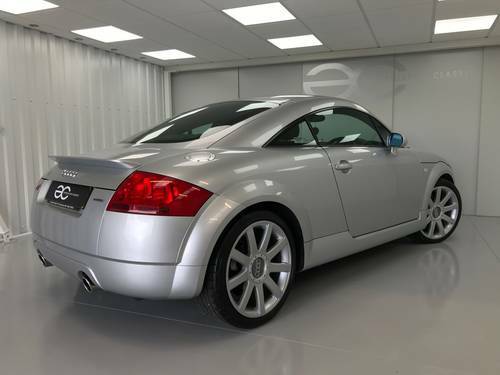 When originally released, the Audi TT was available with two different power outputs, 180ps (178bhp) and 225ps (222bhp). 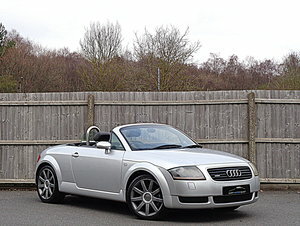 This example is the more desirable, and better performing 225ps variant, which had a larger turbocharger and various other upgrades over the 180ps model. 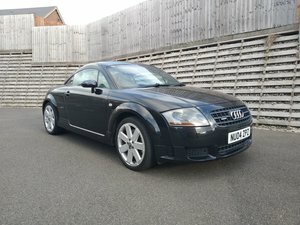 The car starts perfectly, and runs really well, with no smoking and a nice quiet running engine. 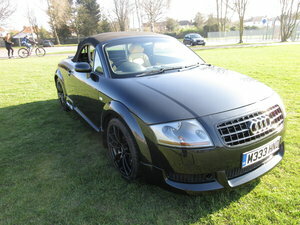 Driving the car on the road, and the performance is still strong, with nice clean acceleration through the rev range. Gear change and clutch operation is very nice, with smooth gear changes both up and down. 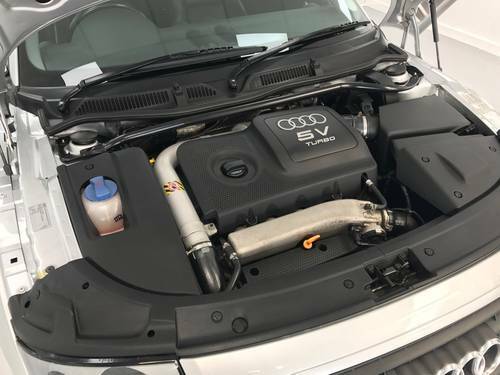 Naturally the engine bay itself presents very nicely. All running gear is in good order, with the car driving very well on the road indeed. As previously mentioned, the clutch and gearbox operate very nicely, and the car also has 4 x matching premium brand tyres. A pleasure to drive and enjoy.